The Beauty Scoop! 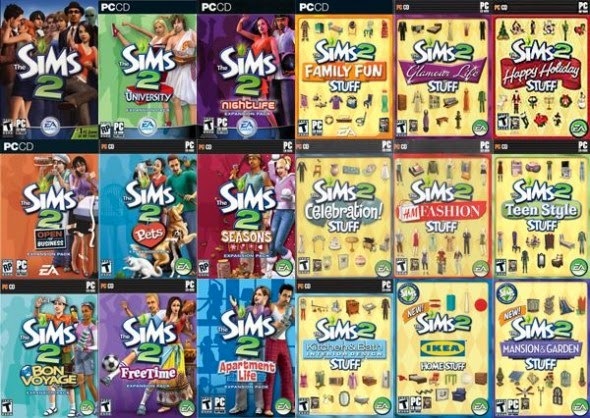 : The Sims 2 Plus All Expansion and Stuff Packs For FREE Until July 31st (Tomorrow)! The Sims 2 Plus All Expansion and Stuff Packs For FREE Until July 31st (Tomorrow)! Ok, whilst games aren't what I'd normally talk about on here (although I really should as I do love a bit of gaming here and there with The Sims, and other simulation games), I thought this offer was too good not to pass on the information; especially as these games back in the day would have cost you hundreds of pounds to purchase (that I happily paid back in the day too)! The offer is ending imminently (tomorrow 31st July 2014), so I'll keep this post short and sweet and just paste in what they say on their information page! This code will available for redemption until July 31st, 2014 at 10AM PDT."